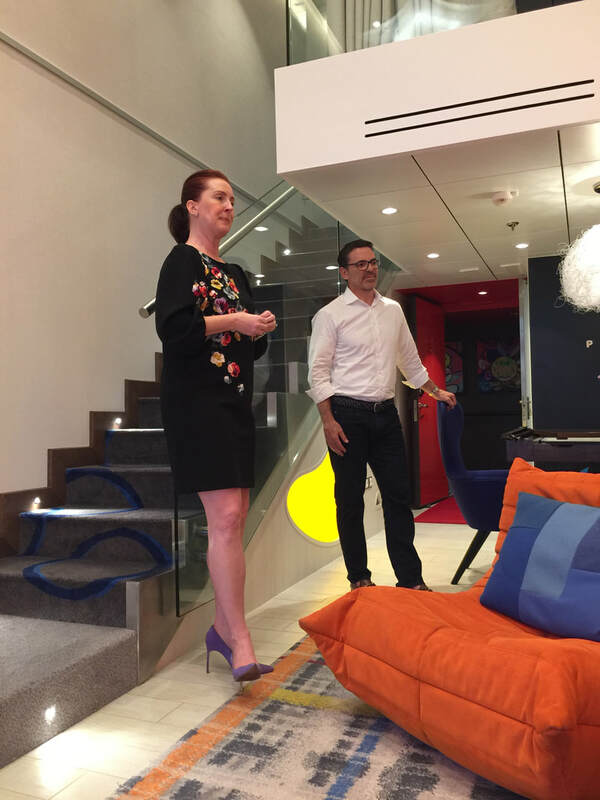 Royal Caribbean's Laura Hodges, VP-Guest Experience, and Mark Tamis, SVP-Hotel Operations, talk about the work and planning that went into creating "The Ultimate Family Suite." 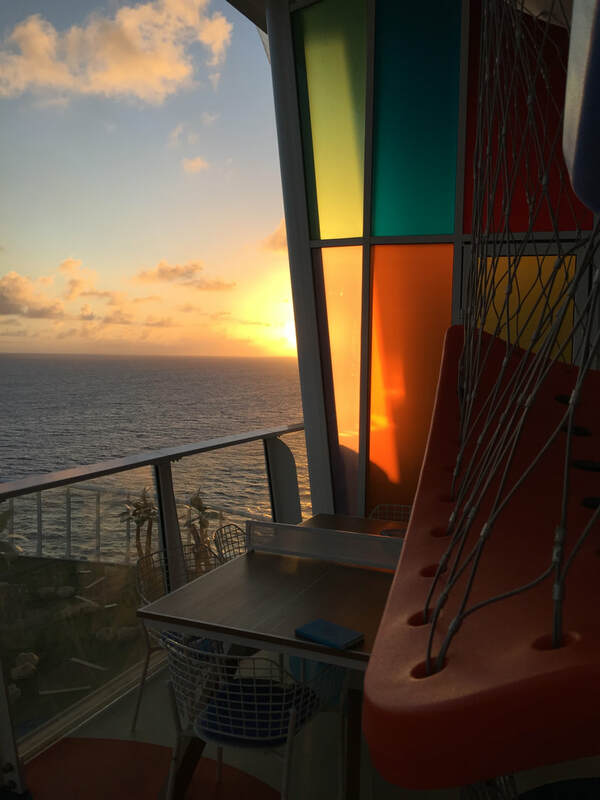 ABOARD SYMPHONY OF THE SEAS_As VP of Guest Experience for Royal Caribbean, Laura Hodges and her innovation team are charged with coming up with new ideas for the cruise line's promise of "the ultimate family vacation." Since onboard accommodations are paramount to the vacation experience, why not create the Ultimate Family Suite? 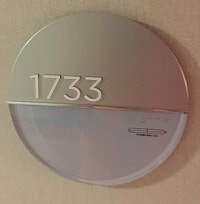 The result can be seen on Symphony of the Seas -- Suite 1733. 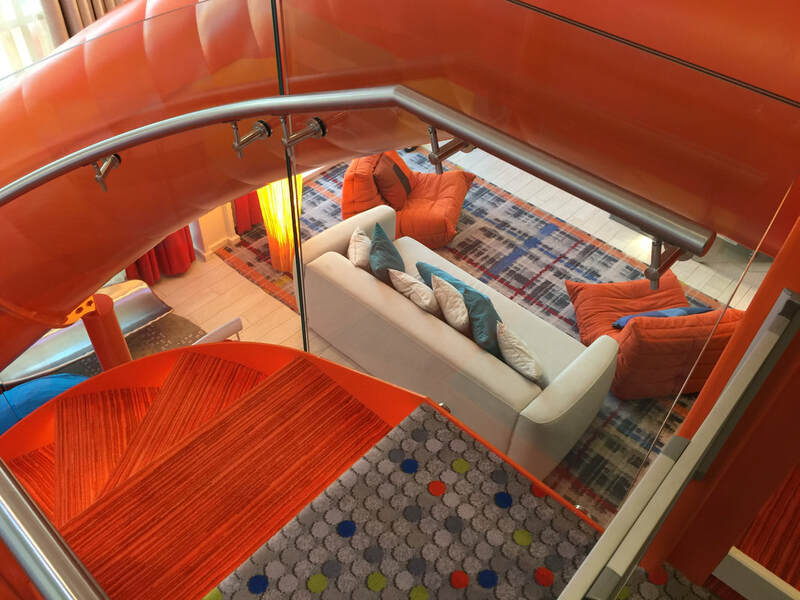 It's pretty much everything any family could ask for, and more, starting with the two-story orange slide that connects the two-level suite together. Driven by customer feedback, Hodges talked about how every color, every feature, every fabric was debated and tested. After touring the result, their attention to the smallest detail was evident. 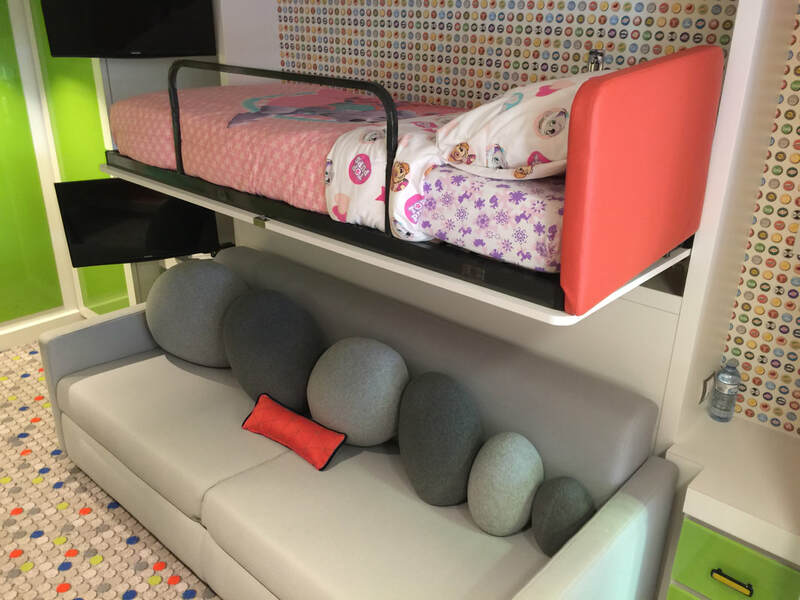 Along with the slide, there are two bedrooms upstairs -- one for the adults and one for the kids. 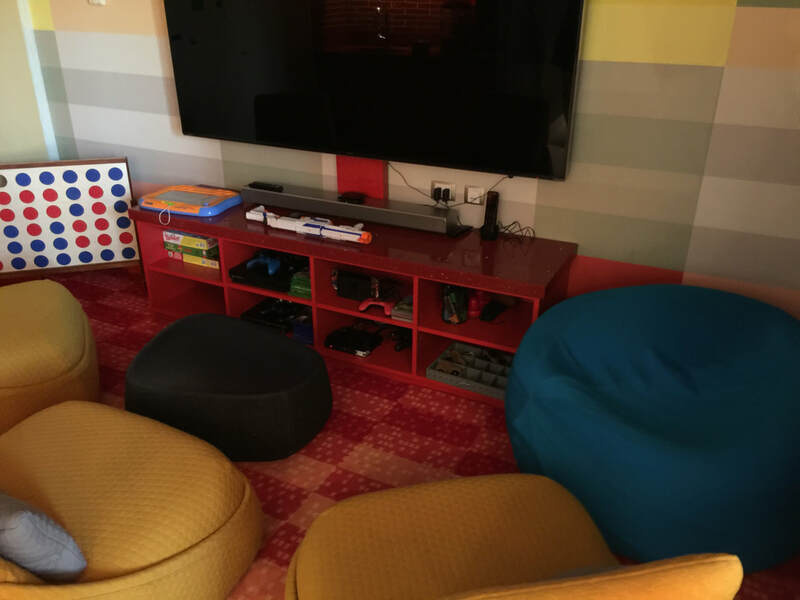 Downstairs is a media room space, featuring an 85-inch TV and nearly every game console on the market. 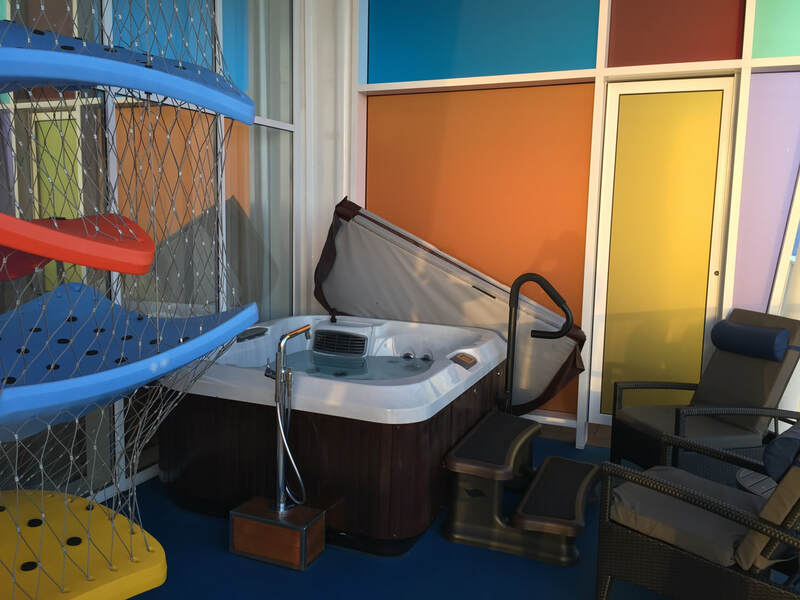 There's a floor-to-ceiling LEGO wall, table tennis, and on the spacious balcony overlooking the zip line and minature golf course, a hot tub and climbing feature for the kids. 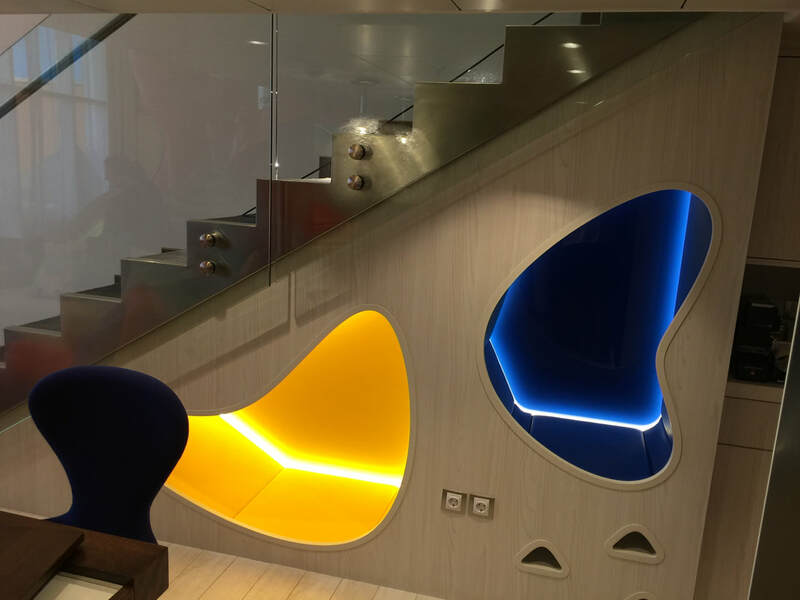 The suite comes with the services of a Royal Genie, an onboard attendant who personalizes your cruise even before it starts based on your preferences. On the cruise, they take care of your every need. The Genie has been specially trained "to curate your experience," said Hodges. Of course, all the fun and features also comes at a steep price. 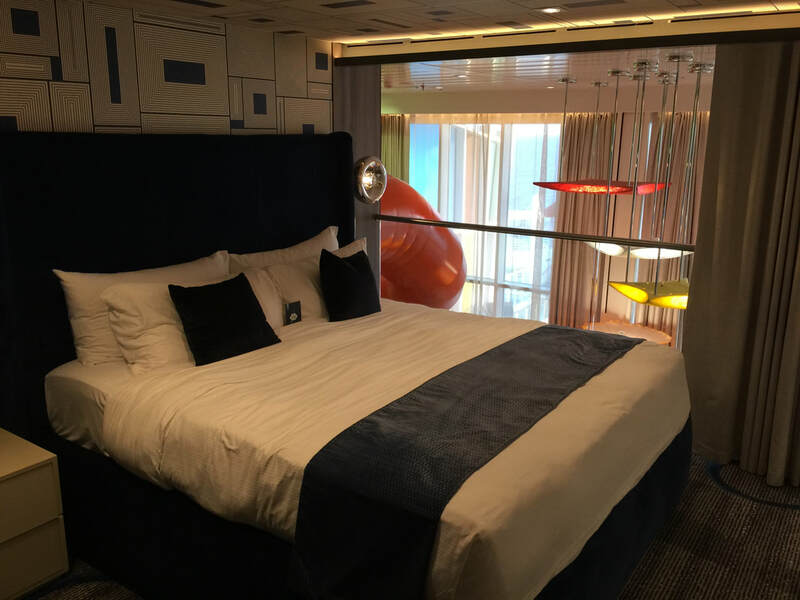 Depending on the cruise, the cost for claiming this almost 1,400-square foot space, accommodating up to eight people, ranges from $30,000 to $80,000. And right now, it's pretty much sold out. The concept has been so successful, Hodges noted it will be included on future ships. Apparently, the cost of making memories on the ultimate family vacation is priceless. 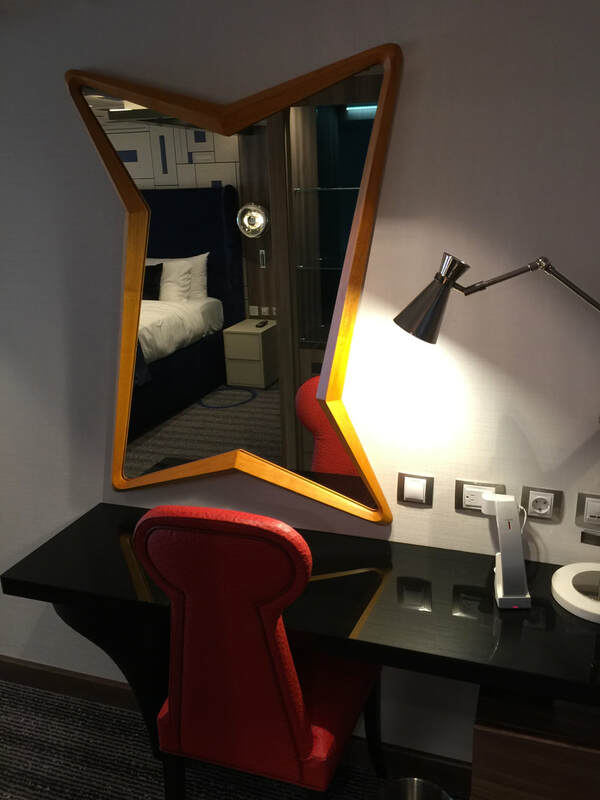 ​ a built-in TV in the mirror.